Joan Almon, Executive Director of the Alliance for Childhood, and Sharifa Oppenheimer, author of the best-selling book Heaven on Earth: A Handbook for Parents of Young Children will share practical information and motivational wisdom to help us in our lives and work with children of all ages. 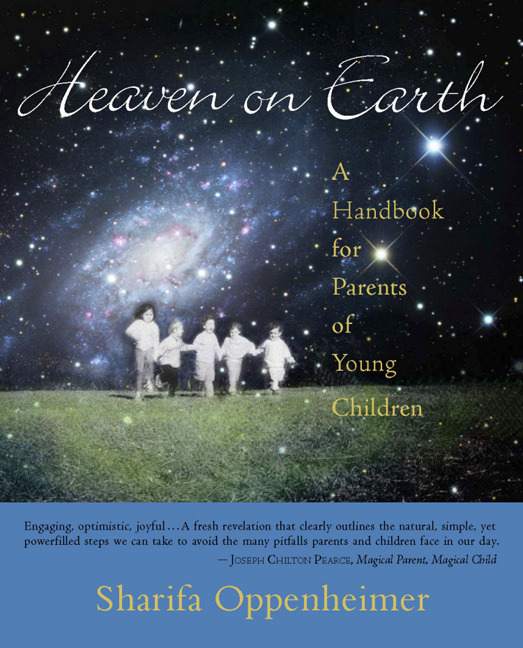 Sharifa Oppenehimer, author of Heaven on Earth: a Handbook for Parents of Young Children will offer the keynote addresses “Family Culture and the Role of Discipline” and”Discipline Begins at Home: the Inner Life of the Parent.” Hands-on workshops will bring these leading thoughts to life. I will post more information in the spring! Hello Friends of Heaven on Earth! I will be speaking this coming Tuesday night (June 16) at The Waldorf Connection Home School Expo. This is an on-line tele-seminar, offered to you completely free. Tuesday evening’s talk will be about Establishing Healthy Home Rhythms. Other topics you might be interested in are “Rites of Passage” “Handwork” and “Music”. Each Tuesday and Thursday evening for the next four weeks, a topic will be presented by experts in the area. Be sure to check the Super Saturday schedule of speakers, as well. When you register, you are given the contact info to dial-in or log-on, and join the conversation! Donna Ashton, a home school mom, has created this extraordinary web-site and event as an educational tool for those interested in bringing Waldorf Education into their homes. The seminar offers you the opportunity, on-line and by phone, to hear top Waldorf Educators lecture on topics of interest to home schoolers and all families interested in pursuing the insights offered by Waldorf Education. Just go to www.thewaldorfconnection.com to register. This is a terrific free offering! speaker for The years of Wonder Conference April 23 -24, in Ann Arbor! will need to lead a successful and bountiful life? the Best Practices to foster this. Full-day conference including keynote speaker, 3 workshop sessions, and lunch. Click to download full brochure and to register.